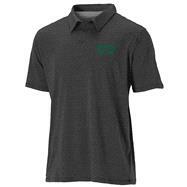 60% Cotton/40% Polyester jersey short sleeve polo shirt with contrast stitch details. 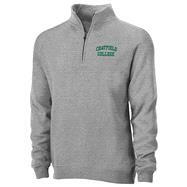 65% Cotton/35% Polyester mid-weight cotton quarter zip with brushed interior and heavy duty antique brass zipper. 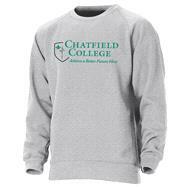 100% Cotton jersey long sleeve t-shirt with classic Chatfield College logo screen printed on the front. 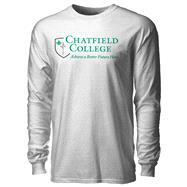 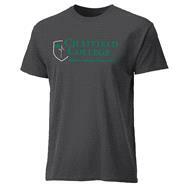 100% Cotton jersey t-shirt with classic Chatfield College logo screen printed on the front.